Legend says that St. Augustine once visited Dorset. While there, he met some shepherds grazing their flocks and asked them whether they would prefer beer or water to drink. The temperate shepherds replied, ‘Water’, whereupon St. Augustine struck the ground with his staff, crying ‘Cerno El’ as the water gushed out. The words were, supposedly, a pun on Cernel, the old name of the village, and meant ‘I perceive God’. 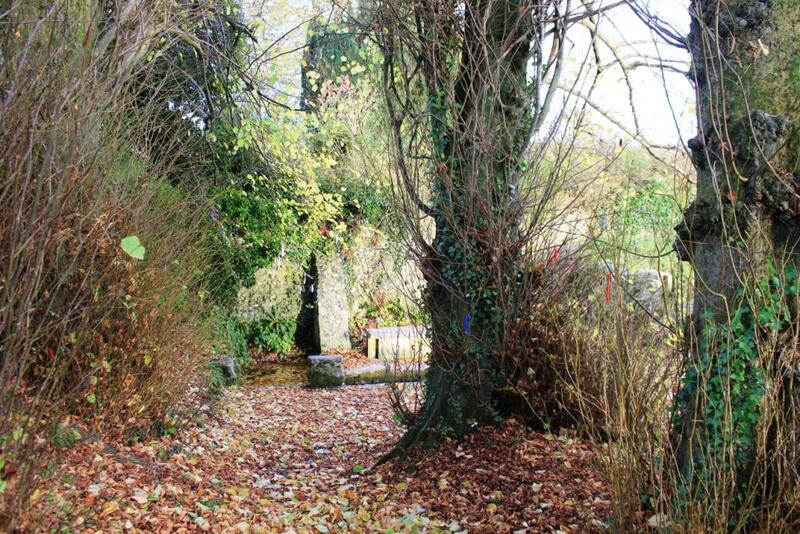 It is thought that the above legend was invented by the Benedictine monks of Cerne Abbey to serve as an attraction for pilgrims. Closer to the truth, probably, is the story of St. Edwold, a member of the Mercian royal family, who one day had a vision of a silver well. He went wandering through the countryside and, when he came to Cerne, he gave some silver pennies to a shepherd in return for bread and water. The shepherd then showed him a well where he could drink, and St. Edwold recognised it as the well of his vision. 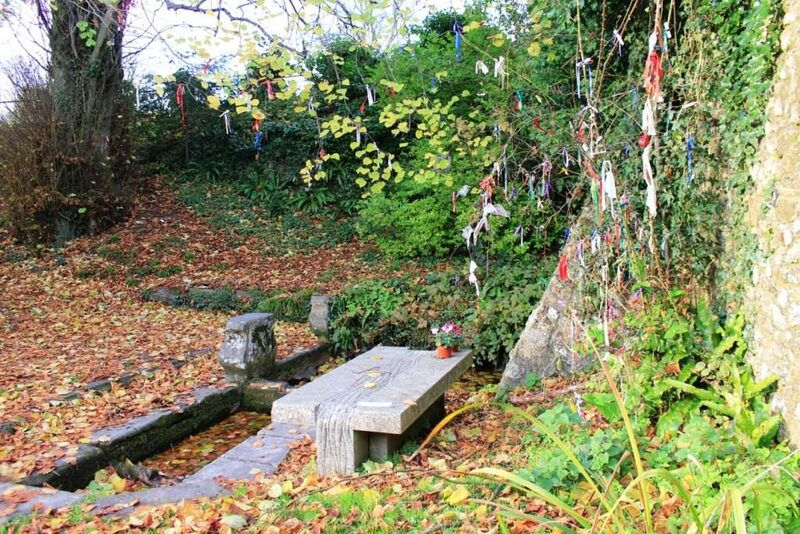 He built a small hermitage by the spring and lived there until his death in 871. 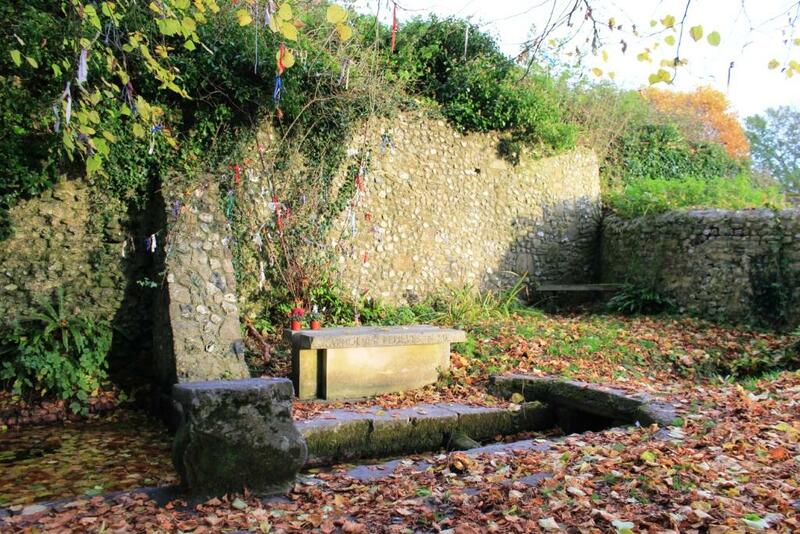 In 1620 Thomas Gerard wrote in his Survey of Dorsetshire that the well was ‘heretofore covered with a chapel to St. Augustine’. 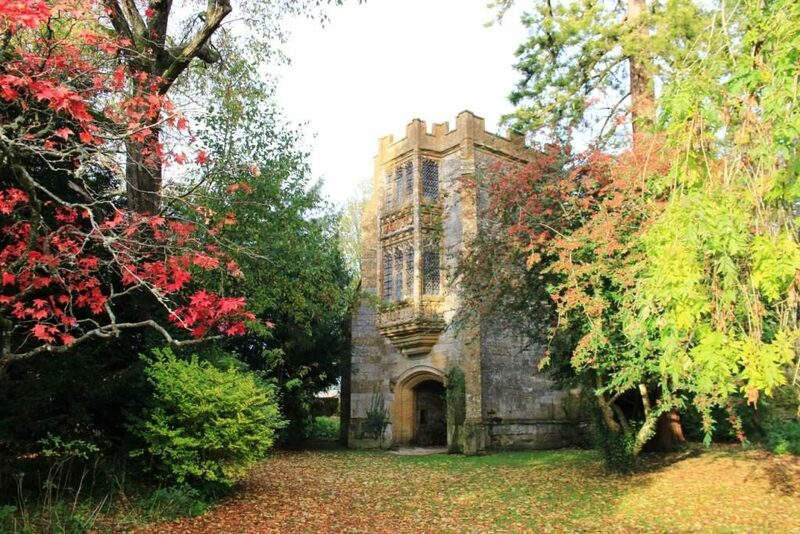 But the chapel was probably swept away along with a huge quarry of cut stone and rubble, as Cerne Abbey was demolished following its dissolution during the reign of Henry VIII. As with all holy places, there are many superstitions attached to the well. If you go down to the well at dawn on Easter Day, you will see over your shoulder and reflected in the water the faces of those who will die that year. Drinking the waters was said to be a cure for infertility, and helpful for those who wish to become pregnant. As the water is full of iron, this is a perfectly logical supposition. If you pick a laurel leaf, dip it into the water and press it to the eyes, it will cure soreness of the eyes. It was held to be of benefit to dip a new-born baby in the waters as the sun’s rays first touched them. (This could well be part of a total immersion Christian baptism, or even part of a pagan ritual pre-dating Christianity). The well is also known as a wishing well. Girls were recommended to go there and pray to St. Catherine for a husband, turning round three times as they did so. On the hill directly above the well there once stood a chapel dedicated to St. Catherine, and down here at the well you can see a Catherine wheel carved upon the left-handed upright stone flanking the wall. Until the last war, the waters were regularly used by the villagers living in Abbey Street for their drinking water. Now it is still good to dink in the springtime when it is flowing freely, but by the late summer and autumn the flow is much less vigorous and the water can become stagnant. Not long ago, a three foot eel was found in the central rectangle, living under a pile of damp leaves! Whatever its history, the well is a holy place full of peace and quiet. Respect it, and take some of its peace with you into the busy world. Mention of St Catherine echo’s across many sites in Dorset and Wessex, such as here. Of the pre-Christian Catherine and her eight-spoked Catherine wheel, such as the one carved on a stone here, we know little. The eight spokes may have represented the eight agricultural festival dates of solstices, equinoxes and the cross-quarters days, that our prehistoric ancestors observed and celebrated with bonfires at these key points in the passing of the seasons. 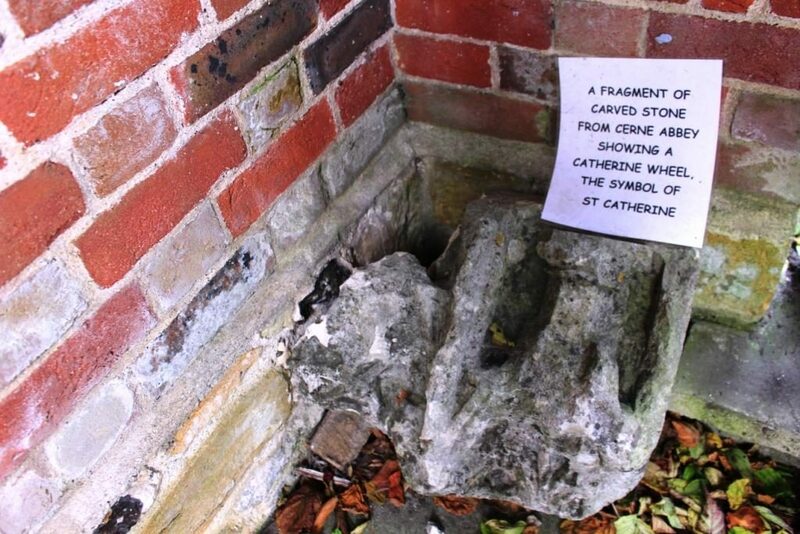 There is however more information available to us today on the St. Catherine of later Christian legends. There is no historical evidence, but the legend has it that St. Catherine was the talented daughter of a noble Alexandrian family. She converted to Christianity as a child after a vision of the virgin and Christ child. The rest of her short life was spent in study of the scriptures. She was executed at 18 years old. It was her courage leading up to her death that ensured her sainthood. She denounced the Emporer Maxentius for his cruelty and paganism and tried to convert him to Christianity. He resorted to summoning fifty philosophers to challenge her arguments, but even they had to admit defeat. Finally, he tried to seduce her, but she reacted with scorn. Losing his temper, he threw her into prison. While in prison, she converted not only 200 of the prison guards, but also one of the visitors, the empress Faustina. This further enraged the Emperor, who condemned Catherine to be broken on a spiked wheel. Moments before this was to occur, the wheel shattered sending spikes flying into the crowd of spectators. She was finally beheaded, still proclaiming her faith, and her body was carried by angels to the summit of Mount Sinai, where a monastery to her name stands to this day. Her cult reached the west with the returning crusaders, where many hilltop chapels were dedicated in memory of her mountain shrine. Her feast day is 25 November and, until recent times, was observed by crafts associated with wheels. She was also the patron of young unmarried girls. Below: A few hundred yards from St. Augustine’s well are the ruins of Cerne Abbey, founded in 987AD, which the current owner kindly opens to the public to enjoy. This is one of the few remaining buildings, the Abbot’s porch, a three storey entrance to the Abbot’s Hall. I shall return to this subject on another occasion. 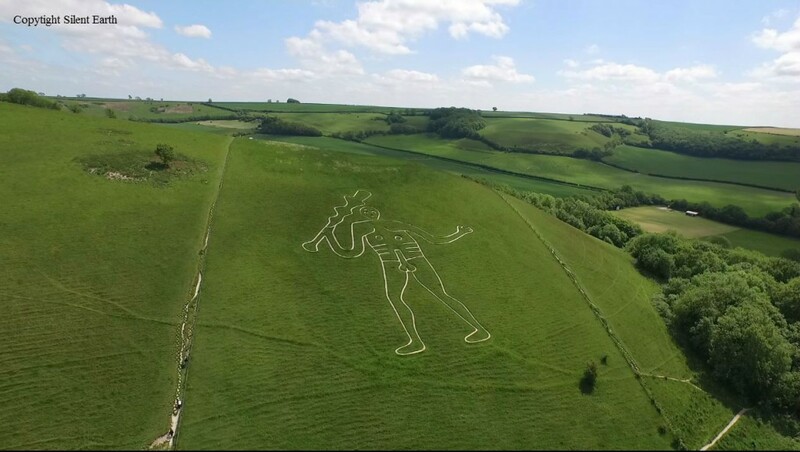 Below the Cerne Abbas giant. More on this enigmatic chalk hill figure here. 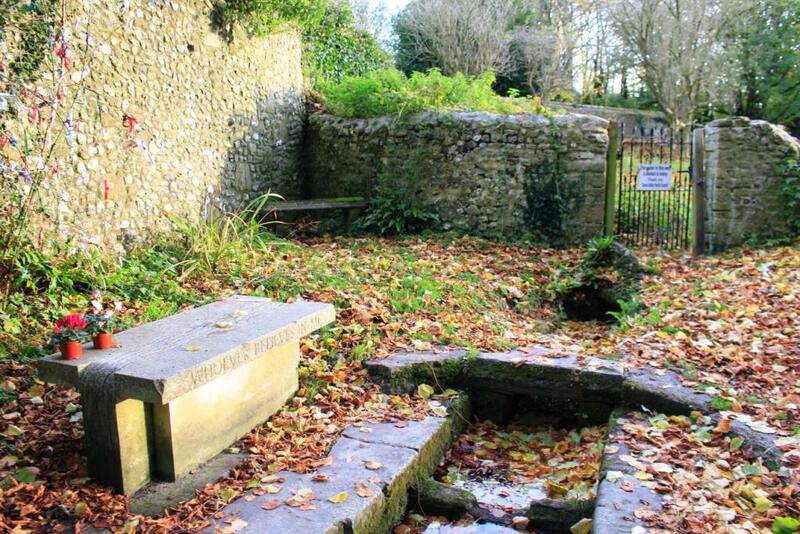 More on St. Augustine’s well here.